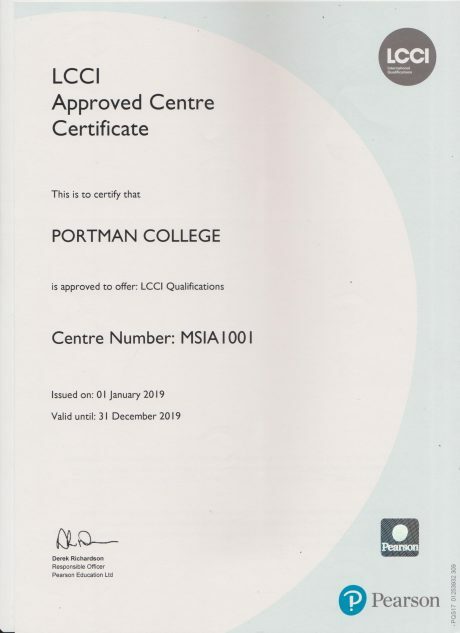 • PORTMAN College is a registered and approved Higher Education Institution with the Ministry of Higher Education. 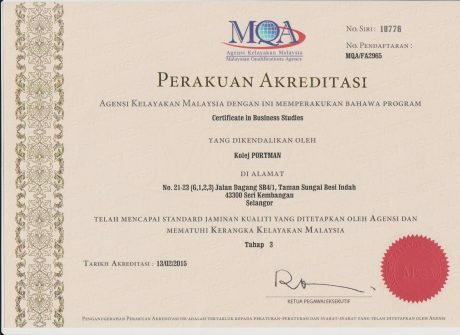 • PORTMAN College is fully accredited by the Malaysian Qualification Agency with the Malaysian Qualification Framework for international quality assurance standards. 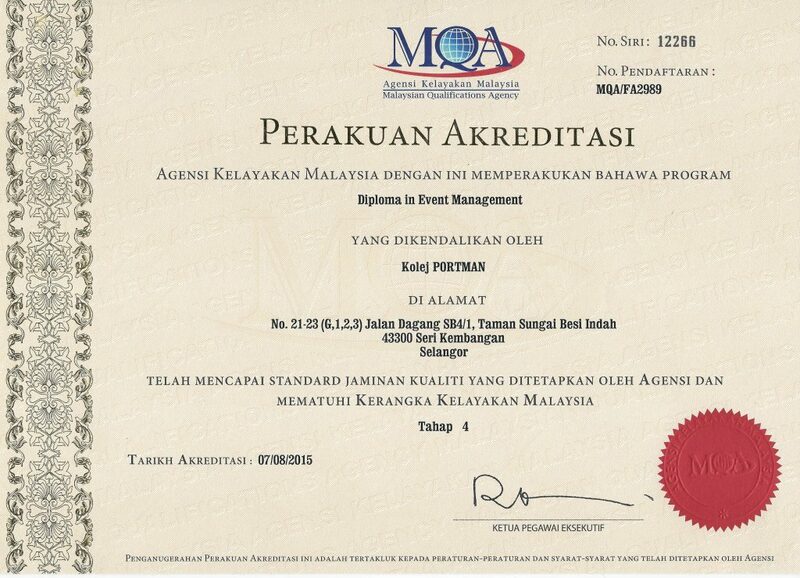 • PORTMAN College is a registered and approved Skills Training Provider with the Ministry of Human Resources. • PORTMAN College is a PEARSON LCCI Approved Registered Training Centre in Malaysia. 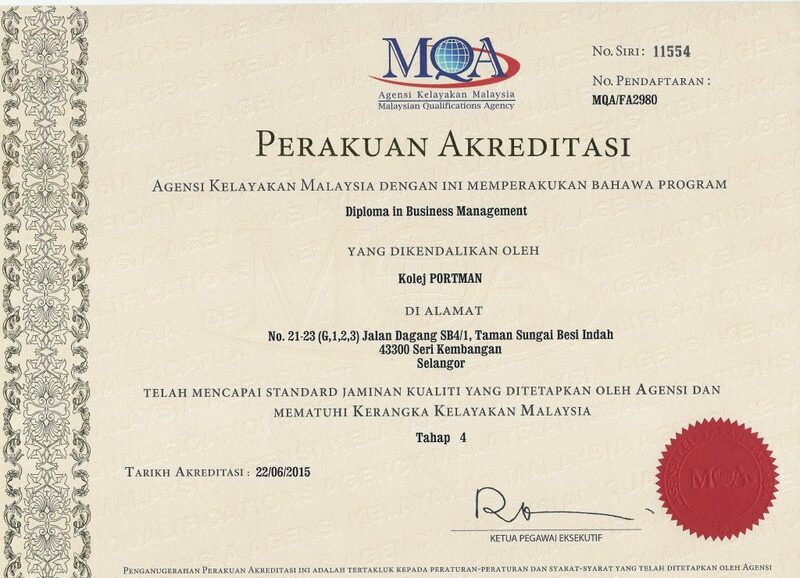 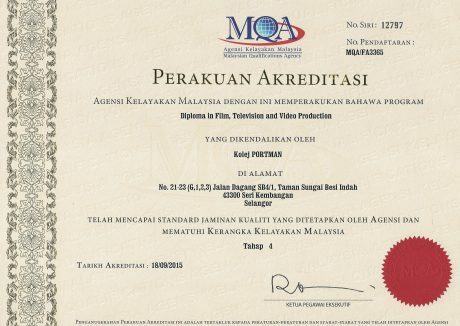 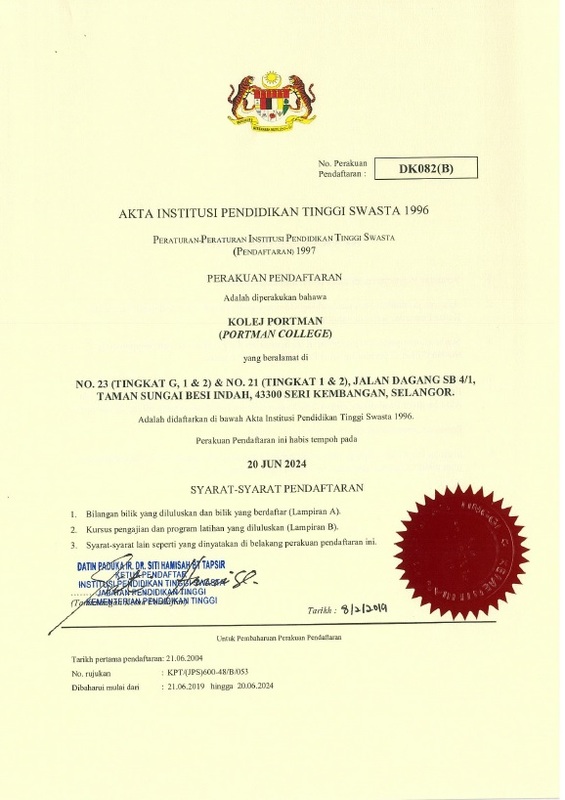 Please refer to Malaysian Qualifications Agency (MQA) website (www2.mqa.gov.my/mqr/) for PORTMAN College validity. 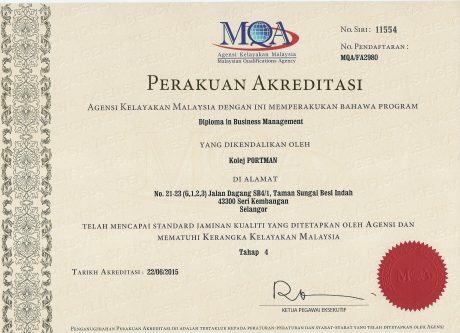 Sila rujuk laman sesawang Agensi Kelayakan Malaysia (MQA) (www2.mqa.gov.my/mqr/) untuk pengesahan Kolej PORTMAN. Updated as of 22 October 2018.